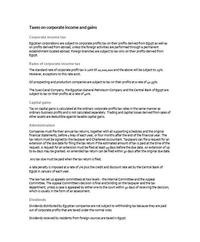 The laws on corporate income and gains have been updated. All whitepapers are available to you and free of charge. This whitepapers is provided by Ernst & Young.